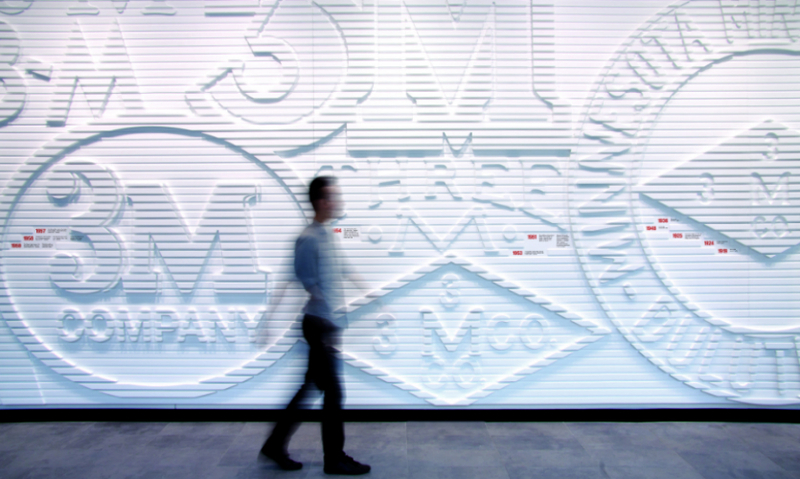 Charting the visual trail, THERE created an interpretive graphic evolution of the 3M logo, a dimensional mural spanning an 80m2 wall in the headquarters foyer. 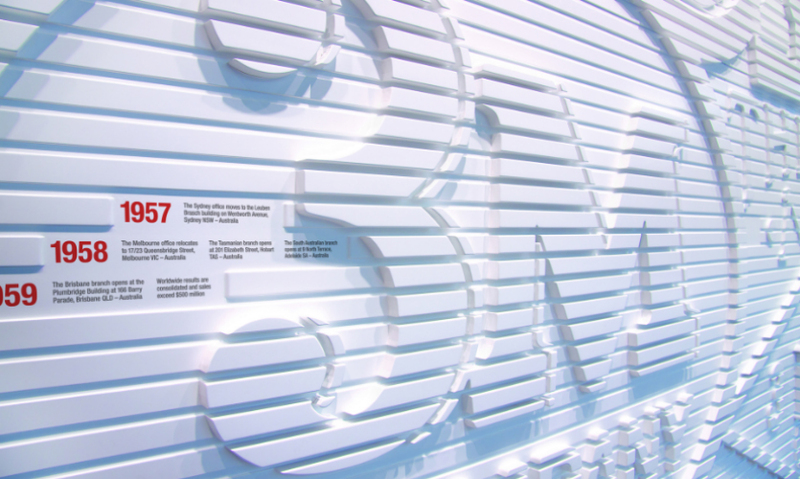 Fabrication was a monumental undertaking. 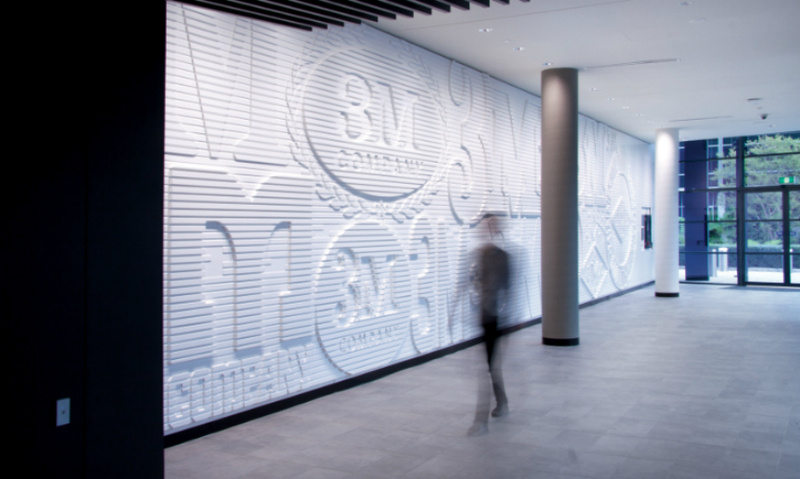 The logos were routered into horizontal slats at various depths, a strategy designed to play on the abundant natural light in the foyer. 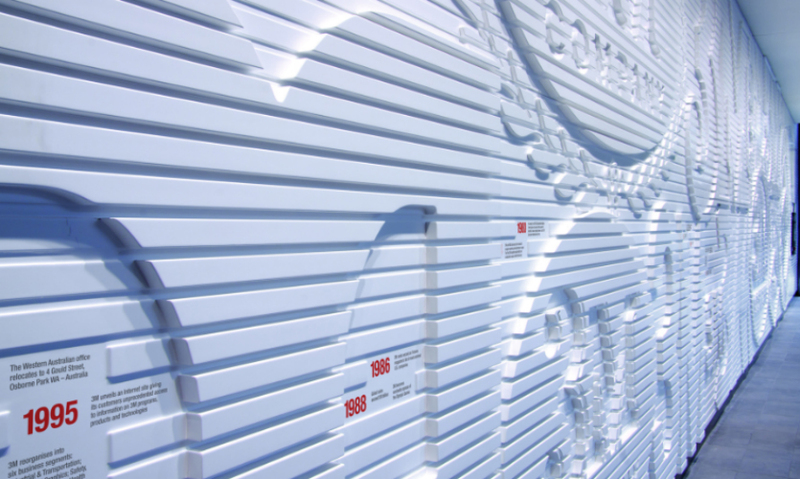 The wall was finished in white to contrast with the shadows cast by the dimensional logos. 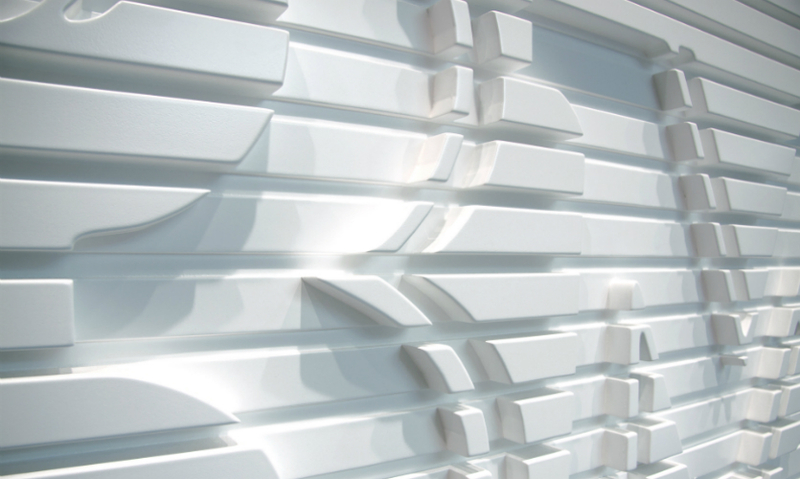 The routered horizontal slats blended perfectly with various architectural details throughout the building. 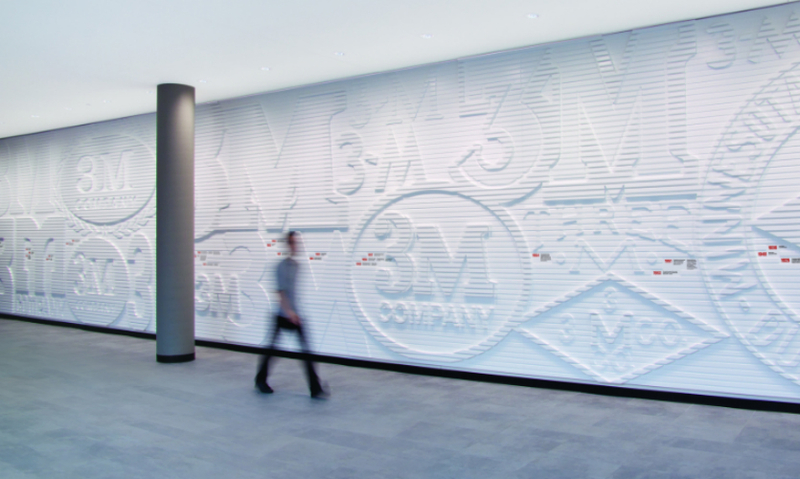 “What’s remarkable about this wall is that it’s a timeline that showcases the history of the company through the evolution of its brand. 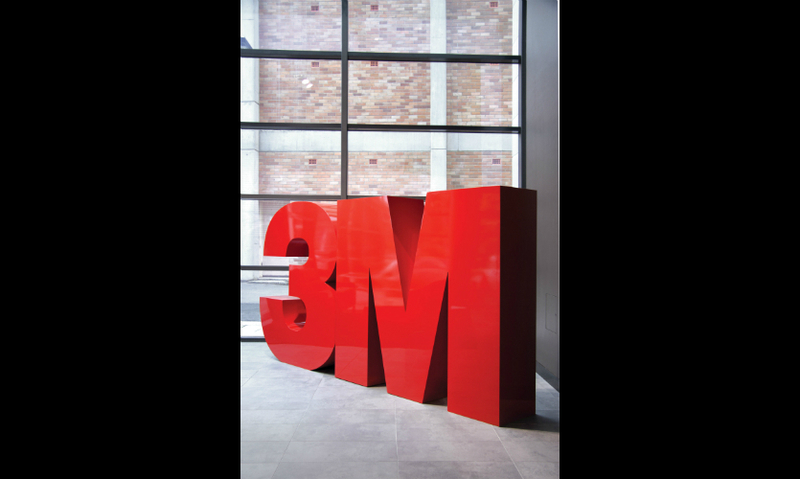 It presents 3M’s history through a coherent and timeless treatment that is subtle yet remarkable. It’s the brevity and quietness that make this solution so effective."